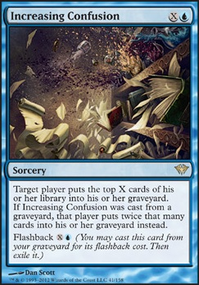 Do the +1 +1 counters that Wight of Precinct Six gains keeps increasing or decreasing depending on what my opponent does with his or her graveyard? Wight of Precinct Six gets +1/+1 for each creature in your opponents' graveyards. 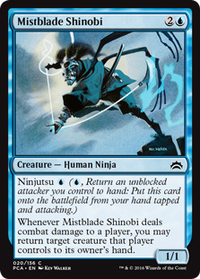 a neat way to "kill" a big threat is with Gomazoa so you can probably just mill it away... Grafdigger's Cage is pretty good gravyard hate for opponents who want to work out of their graveyards and wont depower Jace's Phantasm / Wight of Precinct Six . Wight of Precinct Six could be cool for this especially in multiplayer. 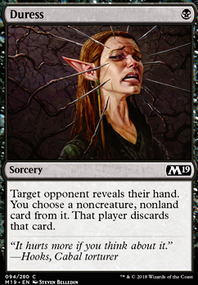 Discard also always works well with Madness, maybe at least some Murderous Compulsion or Dark Withering for the sideboard to remove anything that does get through. This will sound bad, but you will want cheap, mediocre zombies. Dread Wanderer and Stitcher's Supplier have slightly niche abilities, but having zombies low on your curve is key to allowing you to abuse Varina's amazing card filtering ability. For 2-drops, Blood Scrivener , Graveyard Marshal , Metallic Mimic , Mummy Paramount , Nightscape Familiar , Relentless Dead , Wight of Precinct Six and Withered Wretch all have some decent abilities. 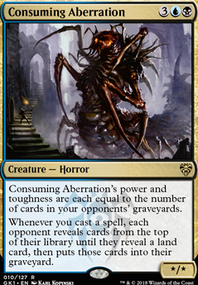 Some of them are just efficient beaters, while others serve as reanimation, lords, token production, card draw and ramp, as well as graveyard hate, which is very important to have in an edh deck. Here is my list if you want to check it out. bwanabeast5 painful quandry!! I need that so bad, thank you! I’ll have to see where I can make cuts for the other two, I just ordered a Corrupt Court Official and a Whispersilk Cloak I’m taking out Bontu's Monument and Liliana Vess out for them. I could probably lose Wight of Precinct Six for one of them. My goal was to keep my CMCs really low so I could race everything out before I got hated off the table. Reclamation Sage - removal that you can recur. Ashnod's Altar - free sac outlet, ramp. Beast Within - one of best removal spells in green. Basilisk Collar - gains life, keeps opponents from attacking (death touch makes people weary of losing best attackee, and it becomes a board wipe with sharpshooter or thoctar - death touch, kill a creature repeat. Below is a list of your non land cards and the role I see them in. I linked the cards that don't serve the end goal of going wide or comboing. I also high lighted cards that are either cost ineffective, or I found lack luster in my builds. Not recommending you cut them, just so you can look at them from another perspective. There are others that would be cut if needed to be more competitive and had the replacements. 1x Birds of Paradise - ramp/fix. 1x Elvish Mystic - ramp. 1x Mortician Beetle - ?? 1x Skullclamp - card draw. 1x Sol Ring - ramp. 1x Sudden Demise - ? 1x Tempt with Vengeance - ? 1x Blood Artist - combo piece. 1x farseek - ramp/mana fix. 1x Goblin Bombardment sac outlet/ combo piece. 1x Wight of Precinct Six - ? 1x Zulaport Cutthroat - sac outlet 3 drop (17). 1x Awakening Zone - token producer. 1x Champion of Lamb Holt - win con. 1x Fecundity - card draw. 1x Food Chain - combo engine. 1x Growing Rites of Itlimoc - ramp. 1x Brawn - give trample. 1x Grave Pact - stax piece. 1x Meren of Clan Nel Toth - recursion. 1x Ogre Battledriver - haste. 1x Parallel Lives - combo piece. 1x Pitiless Plunderer - combo piece. 1x Poison-Tip Archer - combo piece. 1x Purphoros, God of the Forge - combo piece. 1x Shattergang Brothers - stax? 1x Smothering Abomination - draw. 1x Doubling Season - combo piece. 1x Emrakul's Hatcher - token producer. 1x Mazirek, Kraul Death Priest - can make creatures real big. 1x Xenagos, God of Revels - haste enabler for prossh. 1x Dragonlair Spider - token producer. 1x Avenger of Zendikar - token producer. 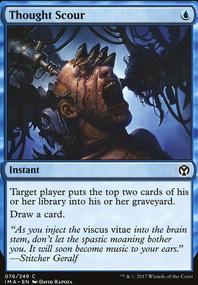 1x Butcher of Malakir - stax. 1x Hornet Queen - token producer. 1x Sheoldred, Whispering One - recursion. 1x Stalking Vengeance - combo piece? 1x Woodfall Primus - removal. 9 drop (1). 1x In Garruk's Wake - removal. 1x It That Betrays - ??. Let me know how this plays for you. All solid choices, Thank you for your help it is greatly appreciated. Scute Mob Not quite fitting into what I am going for here. Wight of Precinct Six Could be very powerful but has never really done any work for me.